Nagios is the most widely used open source monitoring tools which help us to monitor the services and application that run’s on Windows,Linux,Routers and other network devices. 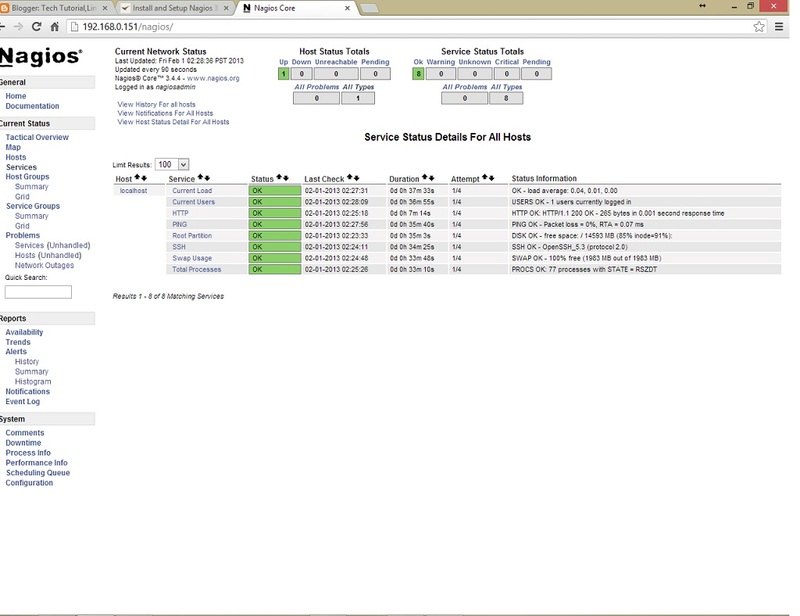 With the help of Nagios you can monitor basic services and attributes. We can access the Nagios using web interface coming with the bundle and configuration need to be done on the file level ( Editing the conf file using the VI editor). Before installing the Nagios, system need to meet the requirements for installing Nagios; So install the Web Server (httpd) , PHP ,compilers and development libraries. Install all with single command. We required to create the user account for accessing the Nagios installation and configuration files. Before starting become the root user. Create a new user in the name of “nagios” and give it a password. Create a new group called nagcmd for allowing the external commands to be excuted through the web interface. change nagios and apache user to the created group. Edit the /usr/local/nagios/etc/objects/contacts.cfg config file with your favorite editor and change the email address associated with the nagiosadmin contact definition to the address you’d like to use for receiving alerts. 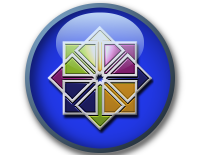 Create a nagiosadmin account for logging into the Nagios web interface. Remember the password you assign to this account – you’ll need it later. Compile and install the plugins. While compiling i got an error for the SSL version; here is the tutorial about Nagios troubleshooting. See if SELinux is in Enforcing mode. Put SELinux on Permissive mode. To make this change permanent, you’ll have to modify the settings in /etc/selinux/config and reboot. Now access the Nagios web interface using the following URL. You’ll be prompted for the username (nagiosadmin) and password you specified earlier. 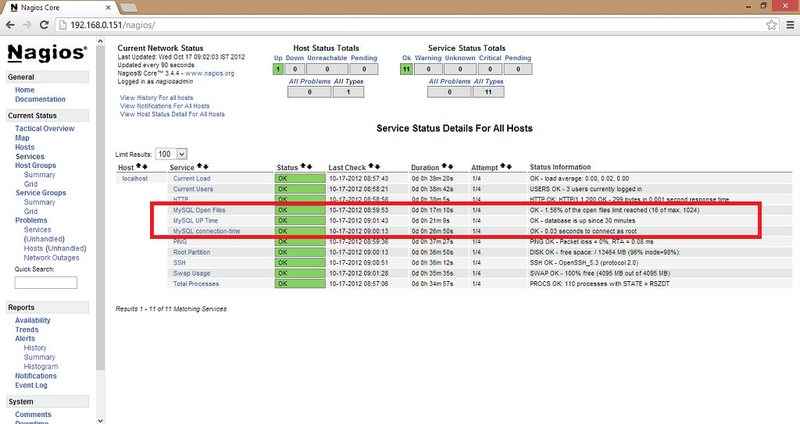 You will redirect to the home page, Click on the Services to view Status of Hosts. MySQL plugin not bundled with default plugins package, it has to be downloaded separately, to get it configured. MySQL plugin requires Perl package, so download and install the Perl package first. Download the latest MySQL Health Check plugin from the Nagios website, Also you can issue the following command to download in the terminal. Extract and compile the MySQL Plugin. Create the MySQL user with the password in such a way that he can do all admin task remotely. Use the following command to log in to MySQL Server. Add the information about the new template file in the Nagios configuration file. Open up the command.cfg file. Add the following entries in to that. Create the new file called mysqlmonitor.cfg under the /usr/local/nagios/etc/object directory. Add the following, replace all and all with your MySQL admin user and Password of the MySQL Admin user. The above two entries to monitor the uptime and connection time out information, more attributes can be found on the official website; can be put instead of uptime or connection time. Now login in to the web interface, click on the services; you will find the above three services with the details. Now you have successfully configured Nagios with MySQL monitoring plugin, More documentation can be found on the plugin page. Nagios has a similar type of plugins for other database servers; you can download it from the official plugin page.